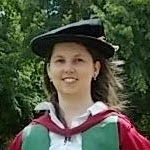 I'm Carly Watson, the Postdoctoral Research Assistant on the Leverhulme-funded project A New History of Reading and Authorship in the Eighteenth Century, based at the University of Oxford. With Abigail Williams (St Peter's College, Oxford) and Michelle O'Callaghan (Reading), I'm working on the second phase in the development of the Digital Miscellanies Index. This will transform the timespan of the Index by incorporating data on miscellanies from the sixteenth and seventeenth centuries; it will also enhance the searchability of the database. I'd love to hear from anyone who has used the Index, or plans to use it in the classroom or as a research tool. All questions, ideas or gripes are welcome! Your feedback will help us to improve the Index. Email carly.watson@ell.ox.ac.uk, or tweet @dmioxford.